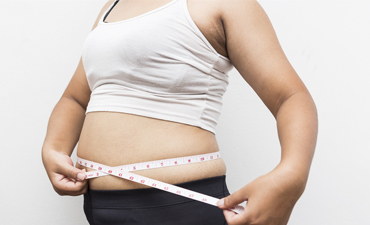 Waist Size: If you are overweight and the extra weight is stored around your middle and not evenly distributed over your body, studies have shown you are more at risk of developing high blood pressure, diabetes, heart disease and stroke. The main goal in weight management is to take a long term approach and make heart healthy choices in food, exercise and alcohol. So in simple terms, if you reduce the number of calories you take in using a healthy, balanced diet and increase the number of calories you put out by developing and sticking to your physical activity plan you will notice gradual weight loss, feel happier and have more energy in a matter of weeks. Aiming for BMI less than 25? “While on the research programme it was discovered I had too much hormone. Then I was sent to the Endocrinology team in SVUH for many tests. I was diagnosed to have a growth in my pituitary and acromegaly. I had surgery in Beaumont Hospital to remove the growth. I am so grateful to the Heartbeat Trust for finding this and sending me to have it researched and treated. Registered in Ireland No 375112.